« You still invest in South Africa? Hehehe, for what, hehehe? Hey Dora, thanks for the topical question. I’ve also been wondering if or when I should switch funds inside my tax free savings accounts. I have a gut feeling that it’s almost always going to be a good idea to switch to a cheaper fund (all other things being equal), but let’s listen to Kristia and give it some careful consideration. Before I get into that though, do you mind if I take another readers letter? He’s got a far bigger problem than the two of us, so I’d like to get that out the way before I get into our tax free savings accounts. I’m the dumbest man in the universe. In 2003 I left a job I’d been at for quite some time. This meant I had R700 000 to be paid out. Stupidly I went to a criminal masquerading as an investment advisor, and he suggested that to avoid paying tax on the money I should put it into an RA. He then told me I was really lucky, as a life insurance company he works with had just released a fantastic RA, and he could get me unbelievable gains in future if I invested it with them. “The fees are just 3.2% a year” he said, “you’ll make that up and more thanks to the skill of the fund manager, he’s one of the best around”. Stupidly I listened to him, and signed over the cash while feeling rather pleased that I’d avoided all that horrible tax. Now it’s 14 years later, and with just 8 years to retirement I’ve decide to take stock of where things are. Amazingly, this hotshot fund manager has only managed 4.4% a year. Well under the inflation rate. Even more amazingly, apparently the fee of 3.2% was excluding an “administration fee”. That added another 1.6%, for a total of 4.8% per annum. This means the R1.35 million I have now is actually less in real terms than the R700 000 I started out with. I could cry. It gets worse too, because I’ve been told that if I want to cancel the RA I’ll have to pay in R148 000. Nearly 11% more of my money! It seems the criminal adviser has to be paid the rest of his commission before I can cancel, and I’m the sucker paying it. So finally to the question. 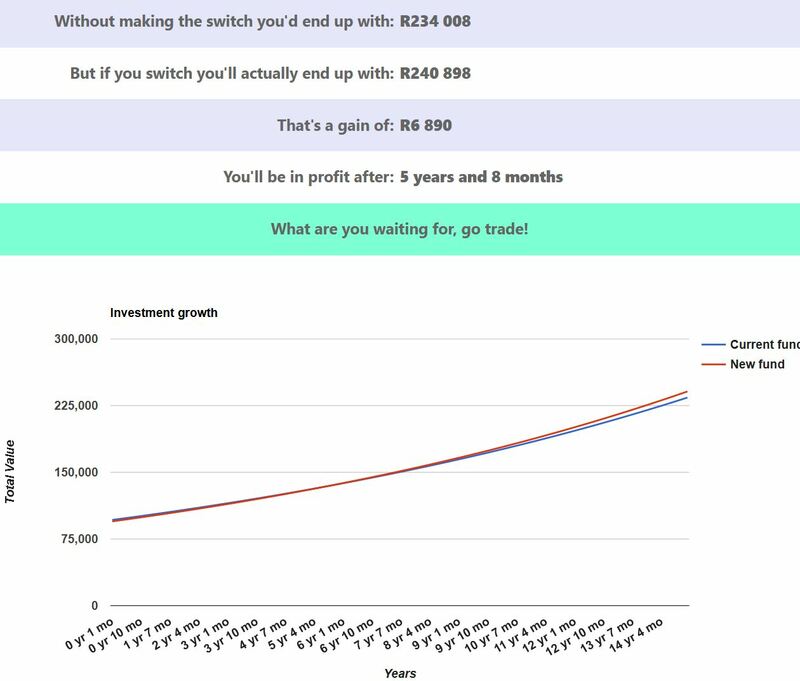 Do I stay with this RA so I don’t have to hand over the R148k, or should I jump ship to the cheapest RA around and join Sygnia? Wow Stew, I’d be steaming if I’d been ripped off as badly as you have. I can’t believe what those guys have done and are still doing is legal. It’s outright theft if you ask me. Now I’m not licensed to give financial advice, but fortunately I don’t need a license to do maths. Before we begin, let’s get the numbers in place. Sygnia charges a total expense ration of 0.46%, and they have a transaction cost of 0.17%, you’ll also lose R148 000 of your capital to join them. Your current fund hasn’t got a transaction charge for selling, and you won’t have to give up any capital, but there is that monstrous TER of 4.8% a year. Since this is quite a complicated maths problem, I’ve decided to build a calculator to help figure out what’s best for your pocket. As you can see it’s a no-brainer. It’ll take you just under three years to make back that horrible penalty, and at the end of the 8 year period you’ll be R380 000 up. One more benefit to switching is that since Sygnia isn’t a badly disguised den of thieves. 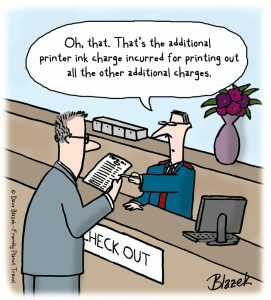 Should there one day be a cheaper RA provider you’d want to switch to and they won’t charge you a cent in penalties. That works out to a transaction cost of 0.37% to sell, and another 0.37% to buy, for a total of 0.74%. This was even cheaper at 0.242% to sell and again the same to buy for a total of 0.484%. 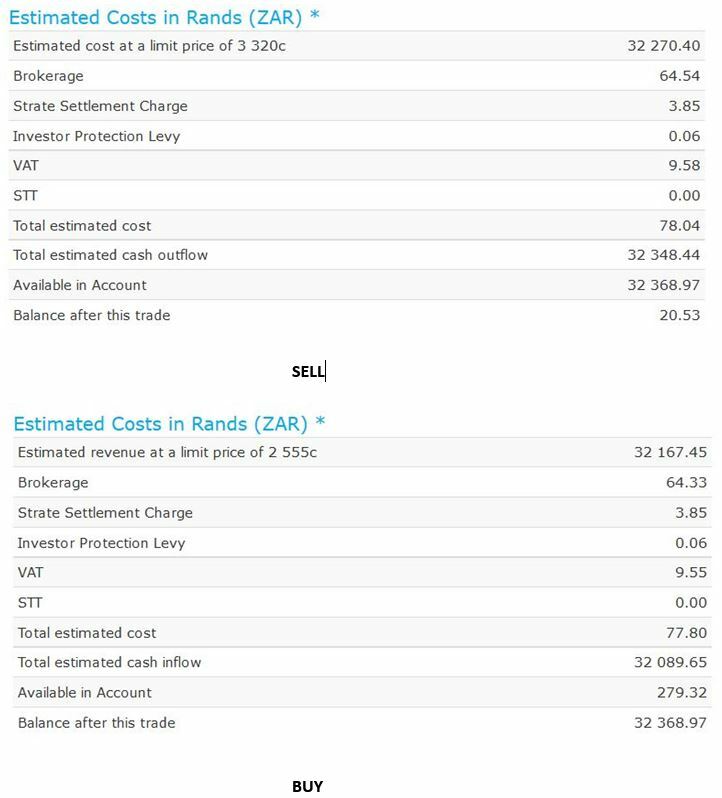 And yes, now you can see that ABSA stockbrokers definitely has the cheapest tax free savings accounts around. As you can see Dora, my gut instinct was right. If you’re going to keep the funds invested for six years or more, it makes sense to take the hit now and reap the rewards of a lower TER going forward. This is the same for nearly all cases. 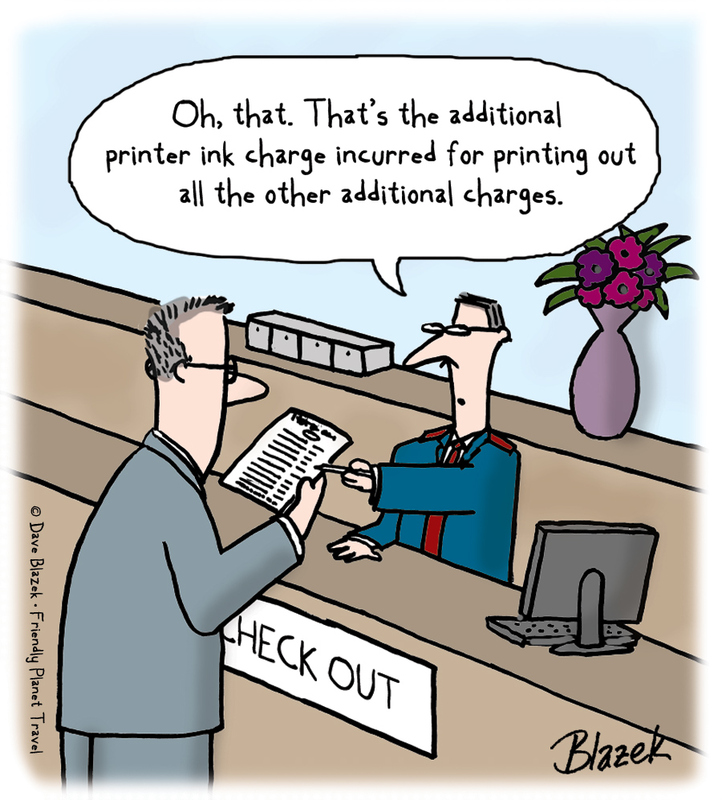 When if comes to costs it’s almost certainly better to pay more upfront and have lower running costs over time. This doesn’t just apply to investments, but many other things. It’s cheaper to buy a quality car and run it for ages than buying two cheap cars which won’t last. The same happens with appliances, computers, light bulbs and many other things. 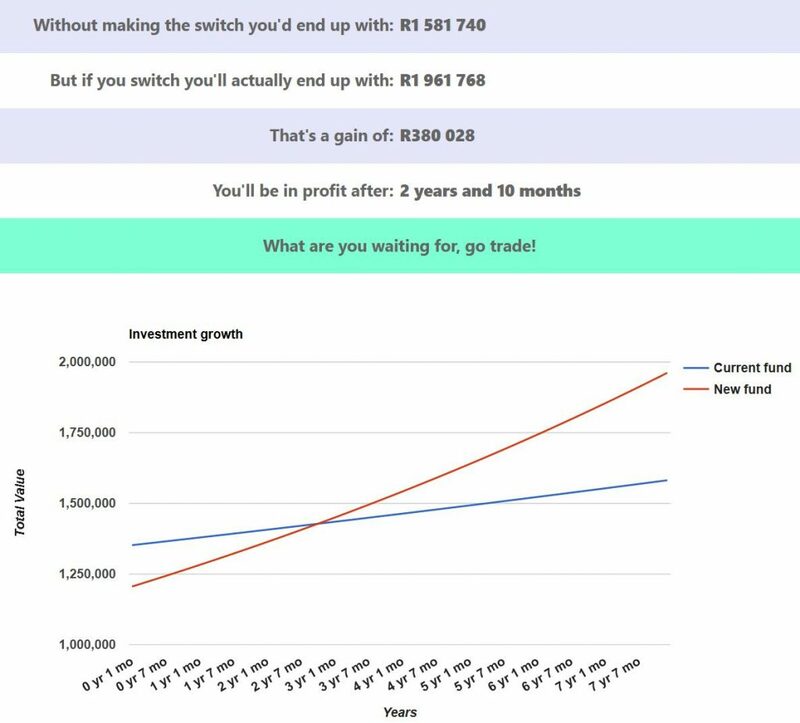 If you have a switching problem you’d like to analyse, head over the the new calculator and plug in your own numbers. *I get no money from Satrix or Sygnia, they just currently have the best products in their respective ranges at the moment. I’m also personally a fan of how the Sygnia CEO stands up for what is right. **The author once met Kristia at a beach party in Boksburg. Yes it was as dodgy as it sounds. At least one of us was sober at the time. I won’t tell you which one!